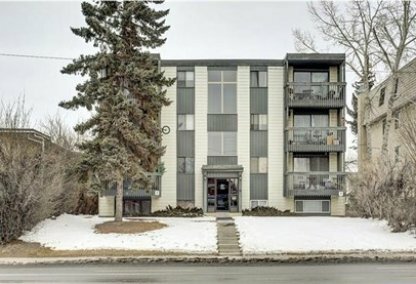 See today's Shaganappi homes for sale in Calgary! 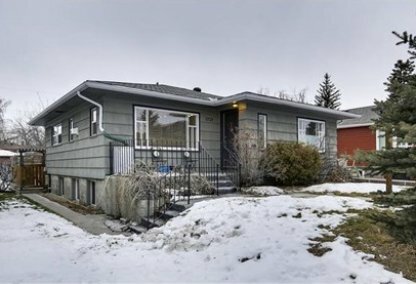 Located between 17 Avenue SW and Bow Trail, this medium-sized neighborhood is exquisitely situated by a ridge that overlooks the Crowchild Trail on the east, and Bow River Valley to the north. To learn more about Shaganappi real estate for sale or to schedule a guided home or condo tour, connect with your Shaganappi Calgary real estate team today. Shaganappi housing market statistics: As of April 25, 2019 there are currently 13 properties for sale in Shaganappi listed as active, with an average asking price of $656,046. The highest-priced property is $1,225,000; the lowest priced property can be purchased for $249,900. Shaganappi neighbourhood listings have an average price of $505 per square foot, based on listings with 3.5 bedrooms, 2.6 baths, and 1,418 square feet of living space. Thinking of selling or buying a home in Shaganappi Calgary? Call Justin Havre at RE/MAX First - 403.217.0003. Our community of Shaganappi real estate agents will help you navigate the Shaganappi housing market in Calgary. This Shaganappi community’s name “Shaganappi” is actually a Cree term, which means “rawhide.” Experts have traced the usage of this term back to the early 1870s – a time when the native Cree occupied the area. The land was then annexed to the City of Calgary in 1910, but major urbanization wasn’t initiated until after the end of World War II. Properties were built starting in 1949 and throughout the succeeding decades. Various dwellings, both old-fashioned and modernized, populate the entire neighbourhood. Today, most of the community’s housing inventory is comprised of apartments and single-family detached dwellings, while the rest are semi-detached abodes and row houses. Due to Shaganappi’s location, inhabitants get the convenience of immediate access to many recreational activities, as well as other neighbourhood amenities. For the former, the community has an ice rink, playground, tobogganing hills, a baseball diamond, and more. Also, Shaganappi real estate is close to other properties that help tenants spend their free time to the best of their abilities, such as the Shaganappi golf and country club. Shaganappi’s main attractions are its range of mid-price to million-dollar properties featuring architectural designs unique to other residences outside the community, as well as its location adjacent or within close proximity to a diversity of amenities. Educational institutions, ranging from elementary to senior high school levels, are reachable by either foot or a short drive. In addition to being able to conveniently satisfy their children’s educational needs, home owners are also near a variety of restaurants, diners, retail shops, bars, and cinemas that are reachable by foot or a short drive. Residents of Shaganappi homes for sale are also only a few minutes’ drive away from shopping malls that provide everything a family could need to purchase on a day-to-day basis. Alternatively, the other parts of the city can be quickly accessed through Bow Trail. Planning to buy or sell a home in Shaganappi Calgary? Let our real estate team guide you in your search for the perfect home and professionally facilitate the sale of your existing home. As Shaganappi neighbourhood real estate agents, we know how to navigate the Shaganappi real estate market. Let's get your home sold quickly and at the highest price! Contact Justin Havre at RE/MAX First - 403.217.0003 to find out more about buyer or seller representation. Thinking of selling your Shaganappi home? Check out our free property evaluation tool, where you can easily view Calgary Homes Values online in moments!